Looking for a top-notch tree care that you can rely on? We offer complete services at affordable prices in Allentown and Lehigh Valley, Striving to reach beyond our clients highest expectations in both workmanship and customer service, we truly believe in setting the gold standard in tree care. At any time, our clients can call for a free estimate. Our commitment to prompt, friendly service makes us a preferred choice in Lehigh Valley: Allentown, Easton, and Bethlehem. It is our belief that actions speak louder than words. In the home service industry failed promises are very common. How many times have you been promised 100 percent satisfaction but you were only left disappointed? This pattern can make it difficult to gain confidence in one particular group. While removing a tree can be performed by numerous companies, we establish trust with all our customers unmatched by our competitors. Every client is given the same high standard of customer care, regardless if they are a current client or a new one. You may be wondering how we establish trust with all our customers. Over time we have served many customers and have earned our reputation. This reputation has evolved to be a combination of the following principles. First, our company starts by completing services with the highest level of detail. In addition, we carry out each work order with one word in mind, PERFECTION. Anything less would be an understatement of the dedication in our promise to serve all our customers with integrity. We offer the complete array of services that you would want from a professional company. As the single company you can rely on for tree care, we truly are the one stop shop for all your needs. All our expert workers have years of service in the field that you can entrust to complete the job thoroughly. 1. Our service will benefit our customers and their property. 2. Our service will be safe for both you and our staff. 3. We promise to meet and exceed your expectations. Although we set a high standard of intentions with all our customers, we always insist on following through. Any blunder, no matter how small, is viewed as unacceptable. Here are some of the professional services we have to offer in Allentown and the Lehigh Valley, Keep in mind we can complete any tree project you should need with full attention to detail. Although it can certainly be a challenge, maintaining honest and fair prices is a high priority. Working in the tree industry requires several different investments that are quite costly. Other home service businesses, such as landscaping, can be less of an investment. Since our company insists on completing a thorough and accurate job, we use a variety of tools to accomplish that task. Although the required equipment helps us perform the required job, the machinery can reach and exceed thousands of dollars. Further, due to the dangerous nature of tree work, workers need to be protected with insurance protection, which needs to be factored into our pricing. As mentioned earlier, we always keep the best interest of our customers. While we won't necessarily guarantee the cheapest rates for our services, our quality will never be diminished. If you just want your tree care to be done with mediocre care and attention, then we are not the company you should choose. We only do tree care with TOP QUALITY standards. We are excited to offer our service to as many residents as possible. Since we understand that numerous homeowners could benefit from our service, we provide our services to the complete Lehigh Valley. ​​We also service all the smaller municipalities from Alburtis to White Township (NJ) and everyone in between. Knowing you have a trusted and reliable company is important even if they are not right around the corner. The Allentown area literally has thousands of trees of many different varieties. 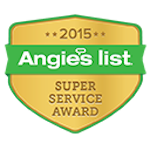 We are honored to know that we can serve a large portion of people with our helpful service. Below are the list of major municipalities we service around the Lehigh Valley. But we also service the over 60 smaller towns around the Valley. Due to the dangerous nature of the tree industry, having full insurance and licensing is an absolute must. Operating machines and climbing high trees are just a few of the risky elements of the job. While having protection is essentially important, some other companies will overlook the importance. Don't sacrifice the promise of saving a few bucks to put yourself at risk. Although rare, an accident on your property might hold you liable. In brief, any company that tries to perform a tree care job without being fully insured and licensed is performing a disservice to the customer. You can have full peace of mind with Allentown Tree Service. We believe that our reputation has been formed because of the hundreds of satisfied clients. Our greatest compliment is spreading the word in your local area letting other homeowners know about our service. 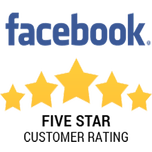 In addition, we are proud to earn ratings on trustworthy review websites. Many individuals want to know about the service they will consider prior to calling them. Our goal is quite simple: we would like to be known as the tree care Allentown homeowners know and trust. We understand how busy you are in daily life, so valuing your time is our highest priority. Whether you have a home or own a business, we focus on responding quickly to tree care inquiries. If you are unable to reach us, we will get back to you as soon as possible; we are simply giving another client our full attention. Since you are making the effort consider us for your tree's needs, we truly believe in our compassionate customer service. Nobody enjoys waiting around, especially if your situation may be an emergency. As stated earlier, our customers best interest is one of our main intentions. Knowing you have help in an unfortunate situation can give you the much-needed comfort. Mother nature can be a deadly force, and it can cause much damage to your property. Just like other emergency services, we provide 24/7 support should you need us immediately. You don't have time to wait if a tree topples on your home after a storm. Knowing you can rely on us at any time gives Allentown residents another reason to choose us for all their services. Although times of emergency may be busy, we can guarantee that you will be served quickly. We deploy additional assistance during times of distress to ensure no one is left out. We will arrive quickly to your property and provide an estimate. Then we will begin a timely cleanup to help get you back on your feet. With decades of expertise and experience, we provide complete care and attention in the Allentown and Lehigh Valley. We place the highest amount of concern to our customers in multiple ways, such as our work performance, our top of the line equipment, the highly trained crew we employ, and honest and fair pricing. If you are in need of quality service, consider our company. We believe in putting the customer first in everything we do.